This is the second story in a series. Read part one. Transcript of press interview with Kim Sin-cho, Jan. 26, 1968, RG 59, Bureau of East Asian and Pacific Affairs, Office of the Country Director for Korea, Subject Files 1966-1974, Box 2, POL 1968 Blue House Raid, NARA. Maj. Daniel P. Bolger, “Scenes from an Unfinished War: Low-Intensity Conflict in Korea, 1966-1969,” Leavenworth Papers, No. 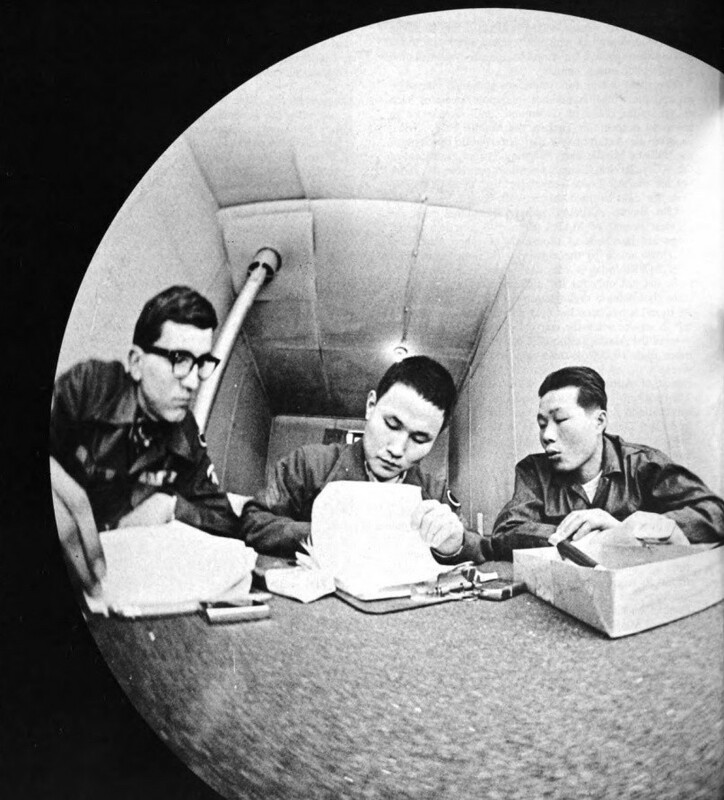 19, Combat Studies Institute, Fort Leavenworth, Kansas, June 1, 1991 [online] and Transcript of Press Interview with Kim Sin-cho, Jan. 26, 1968, RG 59, Bureau of East Asian and Pacific Affairs, Office of the Country Director for Korea, Subject Files 1966-1974, Box 2, POL 1968 Blue House Raid, NARA. “Weekly Summary,” Central Intelligence Agency, CIA-RDP79-00927A006200070002-7, CIA Records Search Tool (CREST), NARA, Jan. 26, 1968. “Security Conditions in South Korea,” Office of National Estimates, Central Intelligence Agency, CIA-RDP79R00904A001300040013-2, CIA Records Search Tool (CREST), NARA, June 23, 1967. Telegram No. 117522 from U.S. Embassy Seoul to State Department, February 19, 1968 RG 59, Central Foreign Policy Files, 1967-1969, Box 2268, POL 33-7 KOR N-US. Telegram No. 117523 from U.S. Embassy Seoul to State Department, Feb. 19, 1968, RG 59, Central Foreign Policy Files, 1967-1969, Box 2268, POL 33-7 KOR N-US. Interview with Joseph S. Bermudez, Jr. Telegram No. 123157 from from U.S. Embassy Seoul to State Department, March 2, 1968, RG 59, Central Foreign Policy Files, Box 2268, POL 33-6 KOR N-US. “Principle Developments in World Communist Affairs (Jan. 23-Feb. 20, 1969),” CIA-RDP78-03061A000400020003-4 CIA Records Search Tool (CREST), NARA, Jan. 4, 1969.